During Vladimir Putin’s state of the nation address this week, the Russian president revealed a nuclear-powered, nuclear-armed missile that can apparently deliver a warhead to anywhere on Earth. “I want to tell all those who have fueled the arms race over the last 15 years, sought to win unilateral advantages over Russia, introduced unlawful sanctions aimed to contain our country’s development… you have failed to contain Russia,” said Putin, according to a report by NBC News. Experts are, needless to say, taken aback by this development. But what makes this weapon just so surprising? Here are four factors that, if they’re true, would leave experts astounded. Putin stated that Russia already tested its new weapon, performing a missile launch as well as ground tests. An accompanying video seemed to show a cruise missile being propelled into the sky, though Newsweek noted that the missile depicted in the video might be a decade old. U.S. intelligence agencies have not made it known whether they knew about those tests before Putin’s speech, or if the tests themselves are real. 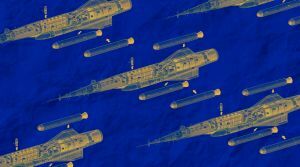 The missile supposedly uses a nuclear propulsion system similar to what aircraft carriers and submarines use to travel long distances without refueling. This would make it possible for the missile to strike anywhere on Earth. Just coincidentally, the sample target in Putin’s video demonstration was President Trump’s Mar-a-Lago resort. In his interview with NPR, Geist said that the missile is likely powered by what’s known as a “fast reactor.” It’s riskier than most other types of nuclear reactors. If the missile were to crash, or the reactor failed, it would cause a major nuclear incident. An animation accompanying Putin’s remarks also showed how such a weapon could dodge terrain and missile defenses while flying towards its intended target. U.S. defense strategies typically assume that nuclear missiles will fly high above the Earth, making it possible to shoot them down before they reach their target. Putin promises that Russia’s new missiles will stay close to the ground and travel too quickly for ground defenses to react. If he’s right, the U.S. military might have to tweak its current defense strategy, and fast. President Trump’s recent budget suggested increasing missile defense spending by 25 percent, or an additional $1.91 billion, according to report from Bloomberg. Russia is likely none too thrilled with that development, but Putin seems confident his country’s new weapon could stymie U.S. defenses, regardless of what the military adds with its expanded budget. Is Russia bluffing? Some experts suspect they aren’t. “They’re willing to go full Strangelove on us,” Geist told NPR. But we have yet to see proof other than what Putin said during his address. Regardless, the Russian president’s message was loud and clear: Russia is a technologically advanced nation, and one to be reckoned with.